← A grande soy cappuccino, please. 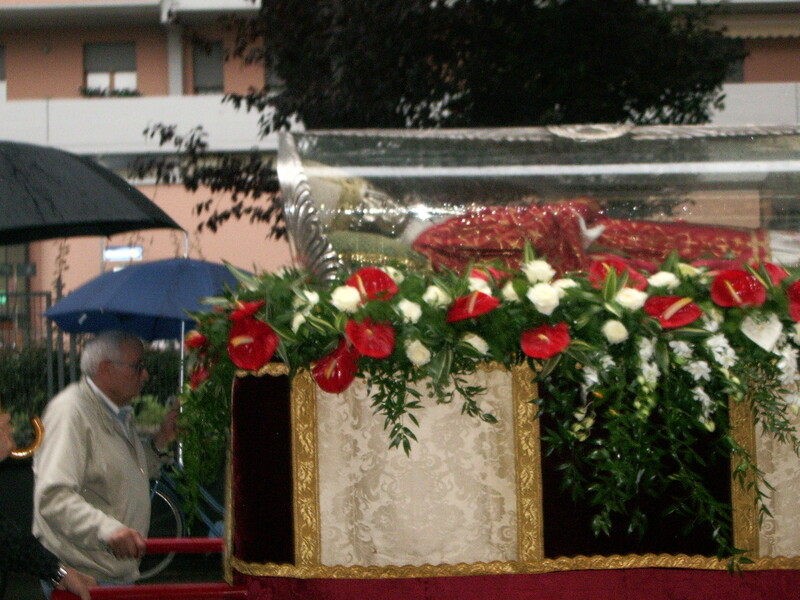 Yesterday was the feast day of the patron saint of Pesaro—San Terenzio. 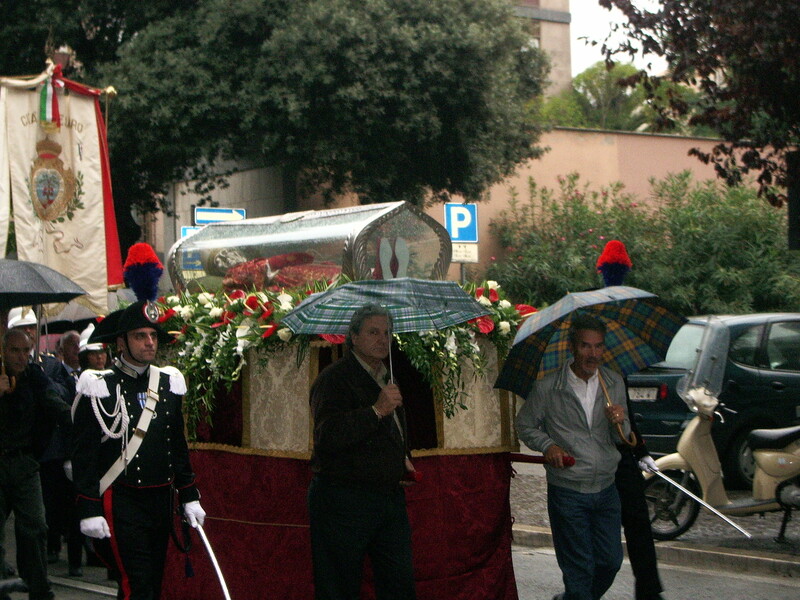 Most shops were closed for the holiday and I heard several people greet each other with “Buon San Terenzio.” Alex and I checked out the procession at 5 p.m. and although it started to rain, we were able to see the priests and Archbishop of Pesaro, dressed in red and white robes, walk alongside the body of San Terenzio (mounted in a glass box like Snow White, draped in red and white flowers) through the streets of Pesaro, with carabinieri and hundreds of Pesarese in tow. The group said prayers at every major intersection, and loudspeakers were set up throughout the city so listeners could follow along. I think it’s a great tradition that Italian cities and towns celebrate their patron saints—an excellent way to remember local history and heritage. This entry was posted in Italy and tagged carabinieri, heritage, Italian, patron saint, Pesarese, Pesaro, prayers, San Terenzio, Snow White. Bookmark the permalink.